Acropolis Greek Taverna offers a fine revival dining in a high energy atmosphere featuring belly dancing, plate breaking, napkin throwing, zorba dancing and live music; all this to recreate the ancient culture of the Greeks delivered to you at a dining experience like no other. Acropolis Greek Taverna serves St. Petersburg and surrounding areas. It features a full bar, casual “tavern-style” dining and entertainment. Located in the heart of downtown St. Pete. Acropolis Greek Taverna offers USF Employees a 10% discount. 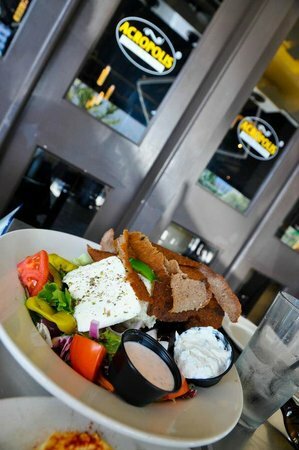 Visit the Acropolis Greek Taverna Website.